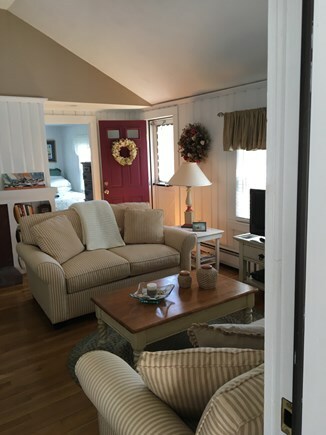 Great Family Vacation Rental! Walk to beach! Great for family barbecues after long beach day! 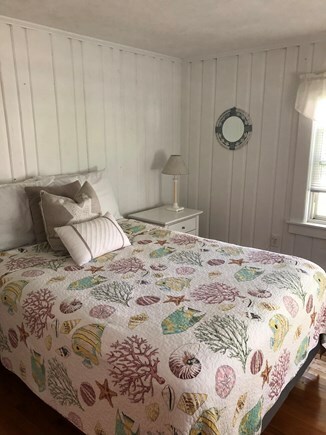 Welcome to a Cape Cod vacation paradise!! 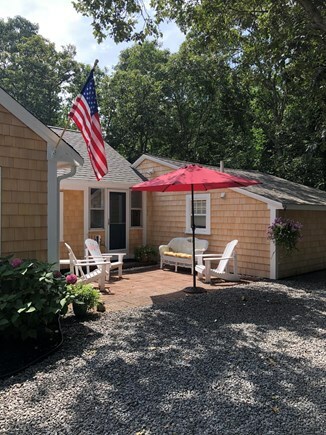 A much desired location on a quiet cul de sac with 7 year round homes only a short walk to beautiful Nantucket Sound beaches. 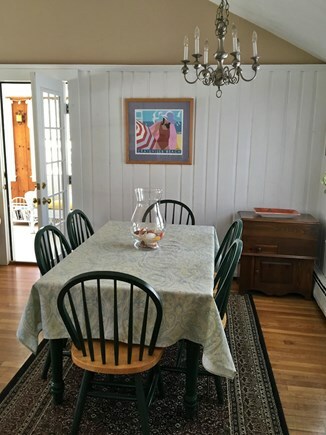 Exceptionally clean and well maintained Cape Cod beach home has a total of three bedrooms. 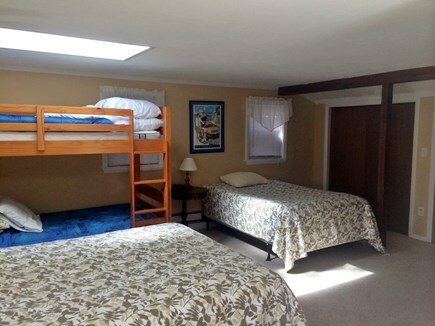 Two bedrooms are each furnished with a bunkbed and a queen size bed. 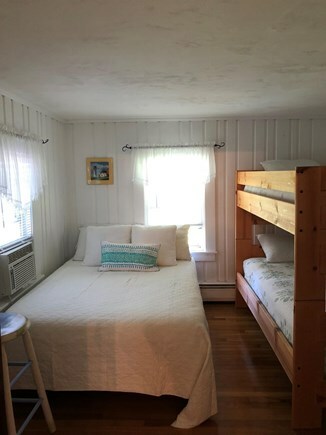 The third bedroom has two queen beds, bunkbed and a separate bathroom. 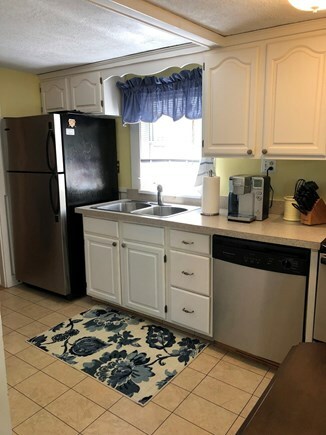 A fully equipped kitchen with electric range, dishwasher and microwave, onsite full- size washer/dryer and Wi-Fi/Cable is included. 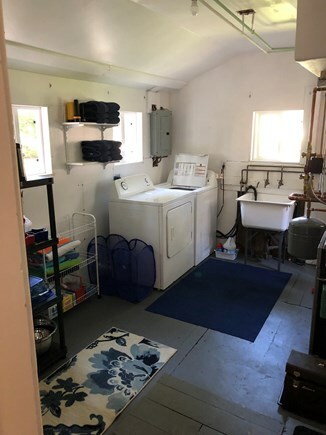 The laundry room has a second full size refrigerator/freezer for additional storage during your stay. 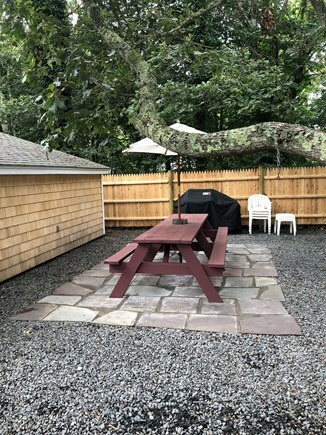 Professionally landscaped, the yard is full of beautiful hydrangeas and includes a swing set, sandbox, brick patio seating area, large family sized picnic table shaded by both beautiful trees and a large family sized umbrella, Weber gas grill and cozy fire pit available for your use. 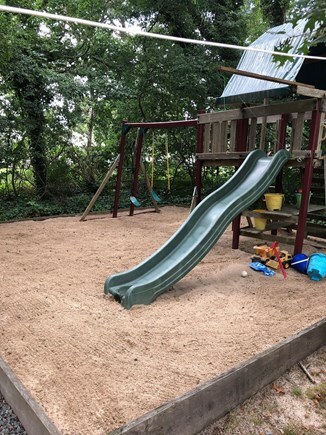 Children can ride their bikes safely on the cul de sac, play in the sand box or on the swing set. 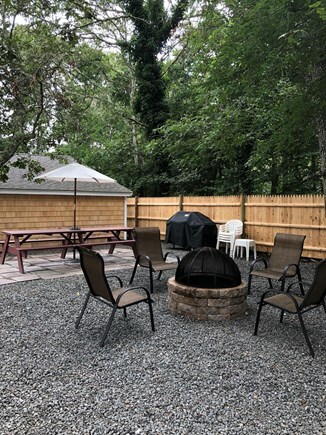 At night relax by the fire pit toasting marshmallows or inside on the screened porch!! Always a must visit - Sundae School Ice Cream Parlor is a short walk, bike ride or drive down Lower County. In the immediate and local area there is much to do and see – many great restaurants from beach bars to fine dining. 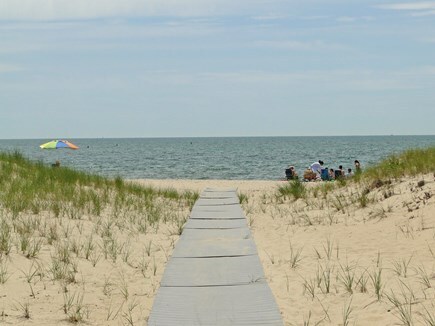 Only a short drive to visit Harwich Port or Chatham Center for shopping and sight seeing. 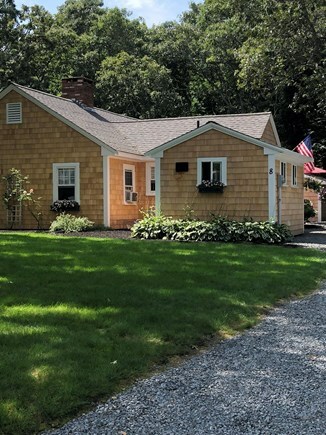 Located only minutes from go-carts, trampolines, batting cages, bumper boats, seal and whale watching excursions, fishing and the Cape Cod bike trail. It’s a great family home to spend time with the kids, kick back and relax! 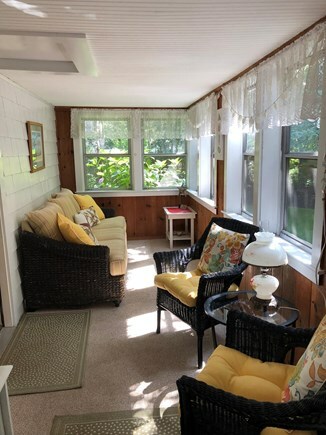 A great place to make some wonderful memories! 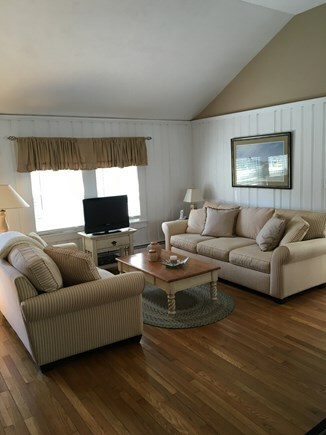 This house is perfect if you’re looking for a quiet and relaxing family vacation. It was an easy walk to the beach, park and marina. The yard was private and we loved the fire pit and outdoor shower. The house was clean and comfortable with plenty of beds. David was very easy to work with. We look forward to renting again!